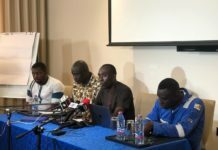 Local poultry farmers must be guaranteed a 40 percent market share, while a sector regulator must be established to check the activities of players, the Ghana National Association of Poultry Farmers (GNAPF) has proposed. The regulator’s role, it said, could check hatcheries – producers of day-old chicks – to the reduce high mortality rate among day-old chicks, among other functions. “Lately, we have had problems with some of the hatcheries; most farmers have bought chicks but later on find out that they are of very poor quality,” said Alhaji Issah Buckman, Ashanti Regional Chairman of the GNAPF. “When I say they are of poor quality, I mean that we expect the birds to grow and lay eggs, but that is not the case. There is high mortality rate, and the few that survive can’t even give 20 percent egg production as compared the normal rate of about 95 percent. “So, this is a great concern for us; it is a great loss. We want the Ministry of Food and Agriculture and other stakeholders to, as a matter of urgency, establish a regulator for the poultry industry,” he added. Apart from the problem of poor chicks-quality, the domestic poultry industry is also plagued with several challenges ranging from high cost of inputs and production, lack of streamlining to the import of cheap and sub-standard chicken. All these contribute to making locally produced chicken about 30-40 percent more expensive than imported ones. In 2017, local chicken production – broiler and layer – was estimated at close to 60,000 tonnes, less than 30 percent of the market demand, with the country spending GH¢200million to bring in 250,000 metric tonnes yearly. But the problem, Mr. Buckman explained, is due to lack of commitment from government to grow the sector. Although the association does not want a total ban on imported chicken, it said it wants a 40/60 percent quota system – whereby local producers would command 40 percent of the domestic demand, while the rest goes to the import market. “We want this quota system, which was laid down by the previous administration, to be implemented. This will give us 40 percent of the immediate local market so that we can get our business back on its feet again in the immediate future, while we work at improving the situation in the long-term,” he appealed. According to him, this is the same industry that once produced enough chicken for both the local market and Ghana’s neighbouring countries; but lately has struggled to command a meaningful share of even the domestic market. “Some years back, we produced chicken and eggs for the local market as well as our neighbouring countries. However, due to the advent of cheap and sub-standard chicken, the industry has been struggling. There are times that after the layers are done producing eggs, the spent layers – older layers – cannot even be sold because there are cheaper alternatives. “But what consumers don’t know is that the imported chicken we crave is not the best. I have been to Europe and American, and I can tell you that chicken is not that cheap over there. And then have to we ask: why is it cheap here?